The lead up eerie border-town short videos for FX’s “The Bridge’ has hooked me I and I will be tuning in for the pilot episode July 10th at 10pm. 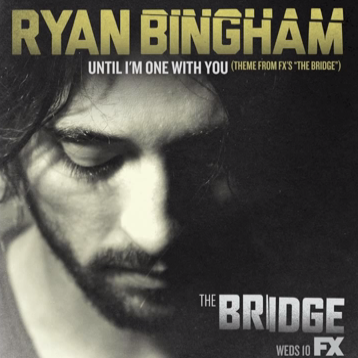 The theme song, “Until I’m One With You,” written and performed by Ryan Bingham is a great aesthetic fit for the program. The gritty program is loosely adapted from a popular Scandinavian crime drama. The American version follows two detectives as they hunt down a serial killer slaughtering women on both side of the El Paso, Texas and Juárez, Chihuahua, Mexico border. Bingham does the song with a fittingly chilling delivery. Chiming acoustic guitar answered by electric guitar, his gravel-road rasps a sentiment that slithers from desire to claustrophobic obsession.